This Museum innovates in linking culture, economy and tourism. 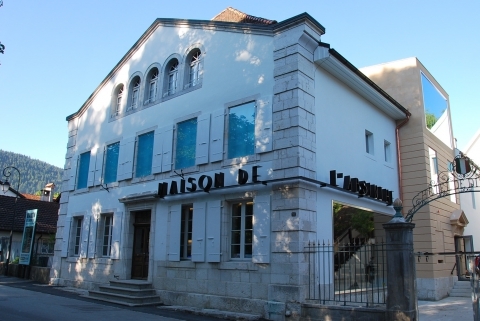 The “maison” is a centre dedicated to absinthe, to its history and its mythical illegal period, but also to its recent development. With an eye on the future, this place promotes the product, add value to local tourism and explore scientific, culinary and commercial potential of absinthe. Between past and future, darkness and light, myth and reality, the visitor discovers the close and authentic links between plants, drink, tradition and regional identity. Discover the history of absinthe, taste the mythical drink and visit our shop with 25 sorts of absinthe and local products. Individual offers and personalized events on request. 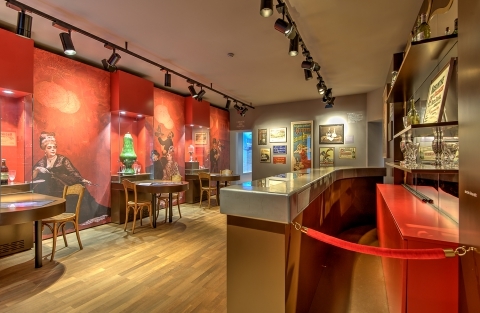 La Maison de l’Absinthe invites you to discover the universe of sensorial analysis. 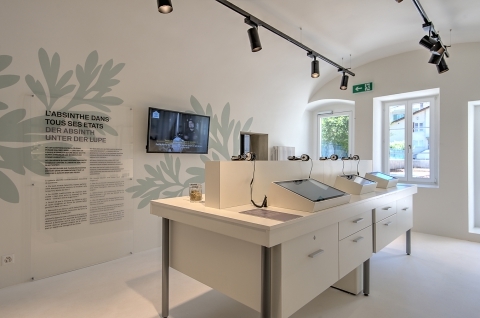 From the 28th of April to the 31st of December 2019, visitors will be able to familiarise themselves with this scientific tasting technique based on our sensory perceptions. The exhibition demonstrates how sight, smell and taste allow us to evaluate and determine the characteristics of a product.